Residential property investment is very different to investing in other asset classes. If you believe property investment is about “entering the market”, then waiting and hoping for the market to rise, and “exiting the market” then you are leaving it all to chance. For the average investor, residential property investment involves playing with all the money they have saved and can borrow – so it should be about careful decisions, taking an active approach, and taking steps to control the investment’s outcome. 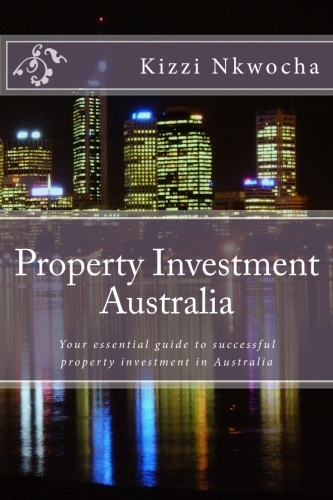 The key component of the investment you can control is what improvement you make to the property whilst you own it – and that is what this chapter of Insiders Know-How: Property Investment – Australia is about. Smart home improvement adds real value to your property and to your investment returns. The outcomes can be staggeringly positive when you make the right decisions. Stocks, bonds, and cash investments involve value and risk assessments and decisions. However, once invested you are effectively going along for the ride. The stock price, dividends, or interest yields are generally influenced by factors and people outside of your control. You really only have control over the timing of the entry and exit of your investment, and you hope that while you are going along for the ride you get a good return. With investment assets like stocks and bonds you choose which investment bus you want to ride on, when to get on the investment bus, and when to get off the investment bus. However you understand that other people are driving that bus and deciding where it goes, and there is not much you can do to change that. You have no control other than being able to jump off the bus. It can be exciting as sometimes the bus ride is a fast ascent without much effort of your own, and you get off the bus quite a bit richer. It can also be a devastating descent and you watch hopelessly whilst others reduce your investment. The fact is you entrusted others to drive the bus and control much of the outcome of your investment. In contrast, investment in residential property provides an exciting appeal. It is a chance to drive the bus yourself rather than just strap yourself in for the ride. In Australia, home improvement for profit is a beloved national pastime. It is a chance to take control of the investment of your hard-earned savings and try and make a difference. I know – as the biggest lump sums that have come my way were from successful property investments that I controlled. Importantly, the feelings of personal achievement you get from taking control, making the right decisions, and delivering value gain through active property improvement are great. Australians from all walks of life like to buy an investment property with improvement potential, take advantage of that potential, and then sell it for a handsome profit. However, whilst it sounds easy enough there are a lot of risks that need careful consideration. This chapter of Insiders Know-How: Property Investment – Australia will help you look at a property investment opportunity with the right attitude: that you have the opportunity to control the investment’s outcome. You should yearn to feel confident and empowered to follow through with a full value-adding home improvement strategy. Whilst I provide some insights to the key considerations and strategies to create significant value from a property through improvement strategies, I am not trying to convey a detailed blue print for improvement steps that will suit any property. That would be impossible in a single chapter as every property is different and specialist advice is often required. In fact, I can imagine a complete how-to-book is justified for almost every key improvement opportunity in the investment property. Scott Pendlebury is the founder and Managing Director of Australia’s fastest growing online building fixtures retailer – RenovatorStore.com.au. After a career of over 20 years in Investment Banking, Scott turned his attention towards his passion: home renovation. Scott has personal experience in many successful home renovations of his own, as well as setting up a professionally managed residential investment fund in the US that buys, renovates, and leases. Scott recognised that the Australian building fixtures market was too expensive and void of suitable choice. He launched Renovator Store at the start of 2013 so that home owners that are building or renovating can access a wide choice of fairly priced building fixtures that they would normally have to source by driving around all the retail outlets. These include tapware, bathroom fittings, storage hardware, lighting, door hardware, and even home theatre cabling. Now Scott enjoys sharing his passion for smart building techniques, great home design, and how to be a smart renovator through his blog on the Renovator Store website. This is an extract from a chapter in the book Property Investment Australia. Available from Mithra Publishing.